I make pizza at home a lot, but I have never tried adding beets before! It wasn’t what I expected, and I loved it. 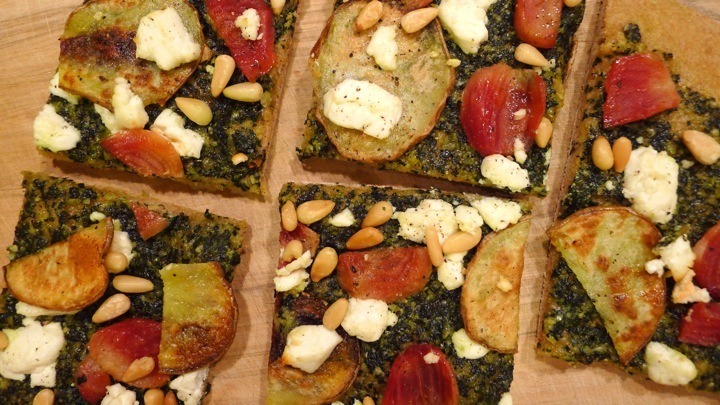 I think it especially tasted great with the kale pesto and goat cheese. 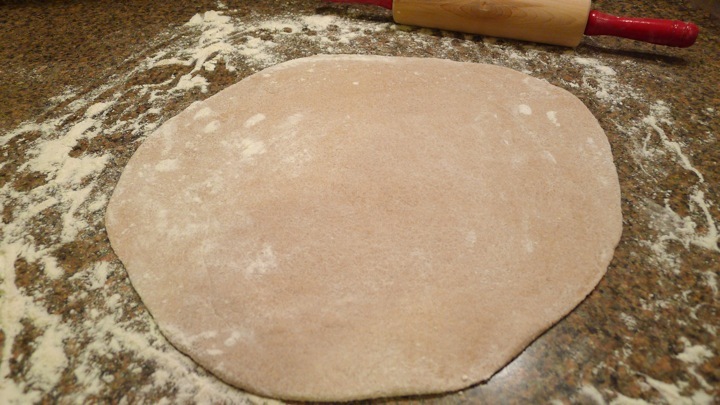 I had also never used whole wheat dough before, and was actually a pretty big fan! 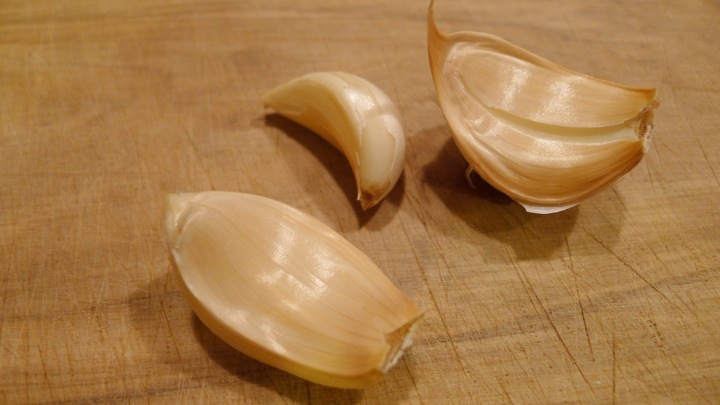 It added a nice flavor that complimented the rest of the ingredients. 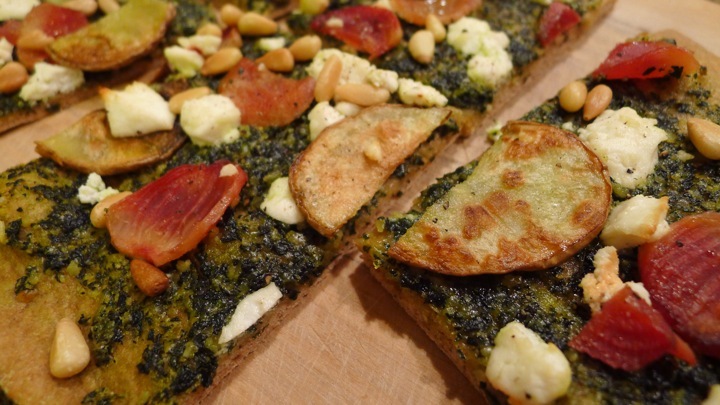 Overall a pretty delicious (and healthier than usual) pizza! Preheat oven to 400 degrees. 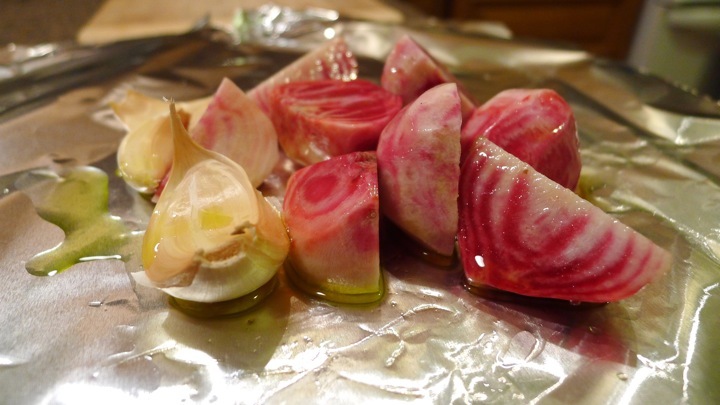 Slice beets in half and place in an aluminum foil “pouch” with the garlic and drizzle with some olive oil. 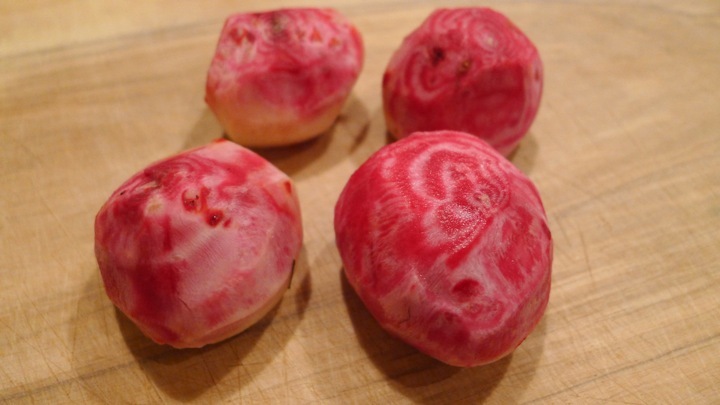 Cook for 20 minutes in the oven or until the beets can easily be pierced with a knife. I used small candied beets so they cooked faster than say a regular size beet which could take 40 minutes or so. 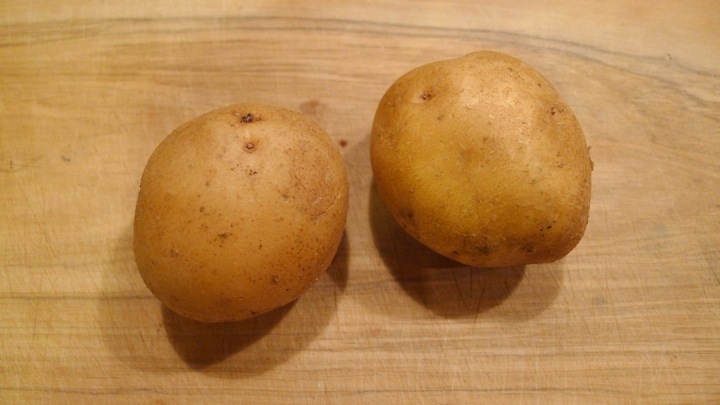 While those cook, thinly slice the potato and simultaneously cook those in the oven for 10 minutes, or until slightly browned. 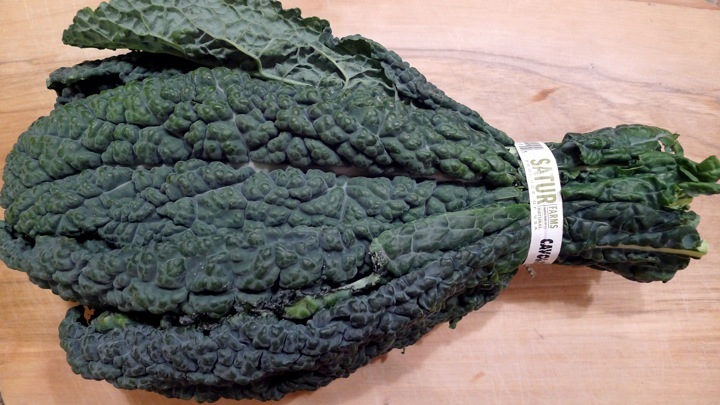 In the meantime, de-stem the kale and blanch it for 30 seconds in boiling water, then transfer to a bowl of ice water to stop the cooking. 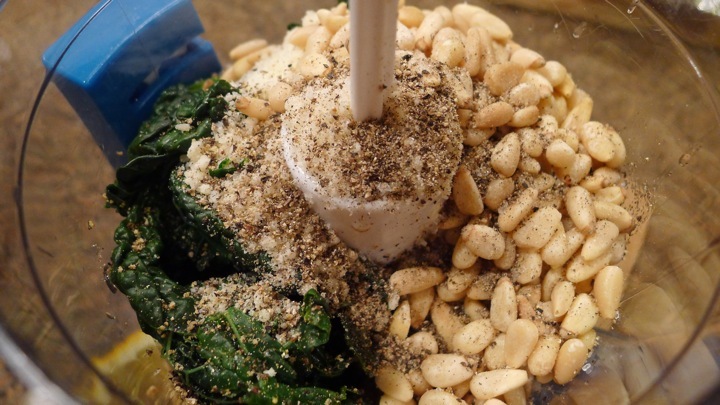 Squeeze out the excess water and place in a food processor with the olive oil, Parmesan cheese, pine nuts, lemon juice, and roasted garlic from the oven. 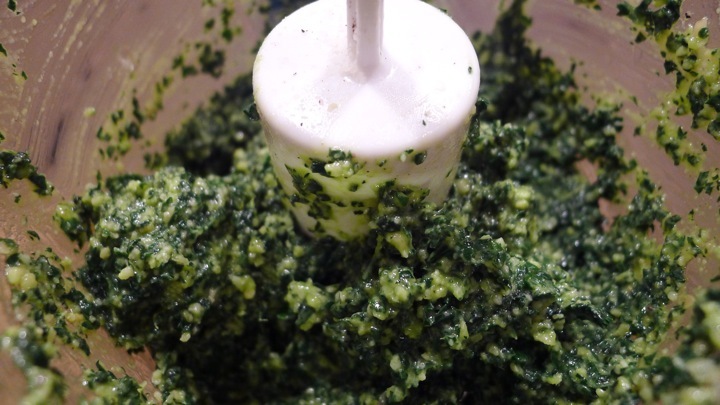 Blend until you have a pesto consistency, then salt and pepper to taste. 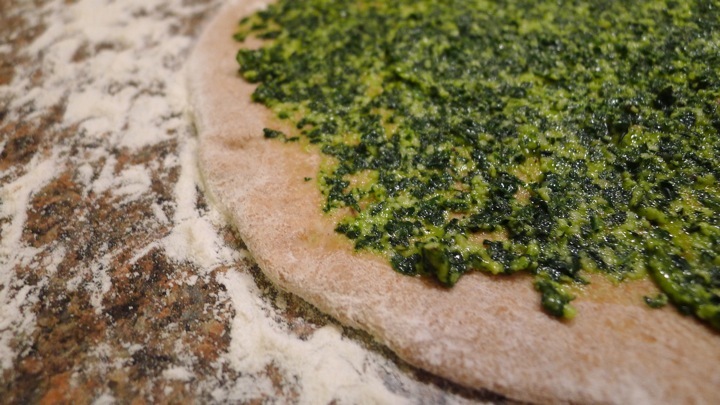 Roll out the pizza dough on a floured surface. 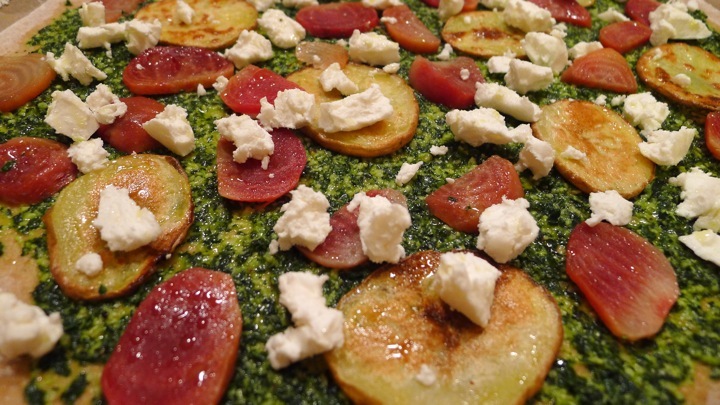 Spread some of the kale pesto, then top with the roasted potatoes, beets, and goat cheese. 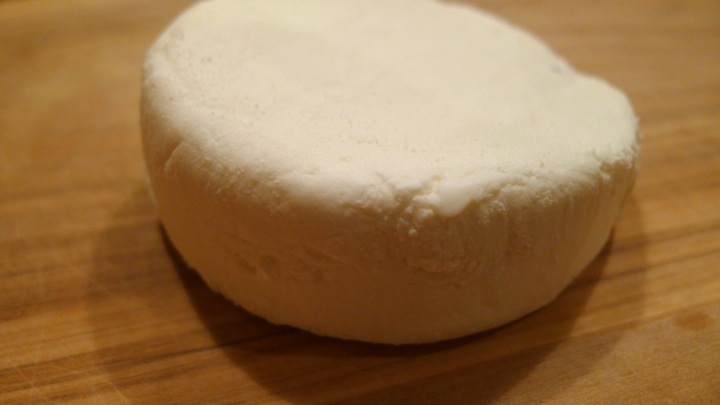 Bake in oven for 20 minutes or until the crust is slightly browned. 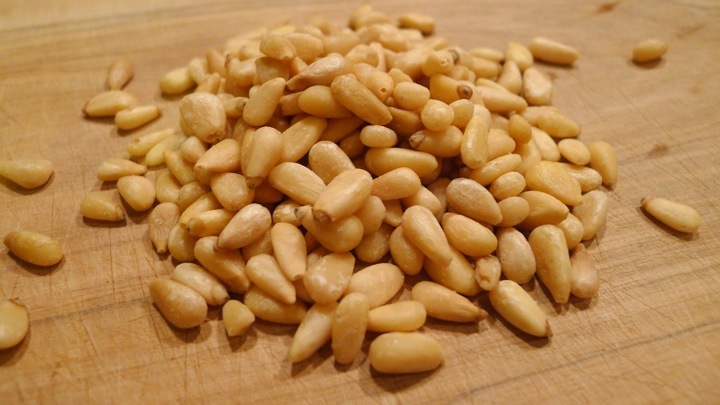 Top with some fresh pepper and toasted pine nuts. 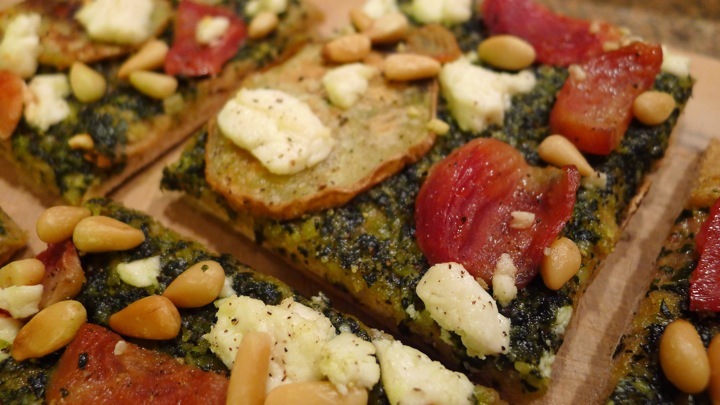 I also drizzled a little olive oil to finish it off, but this is optional. Enjoy!